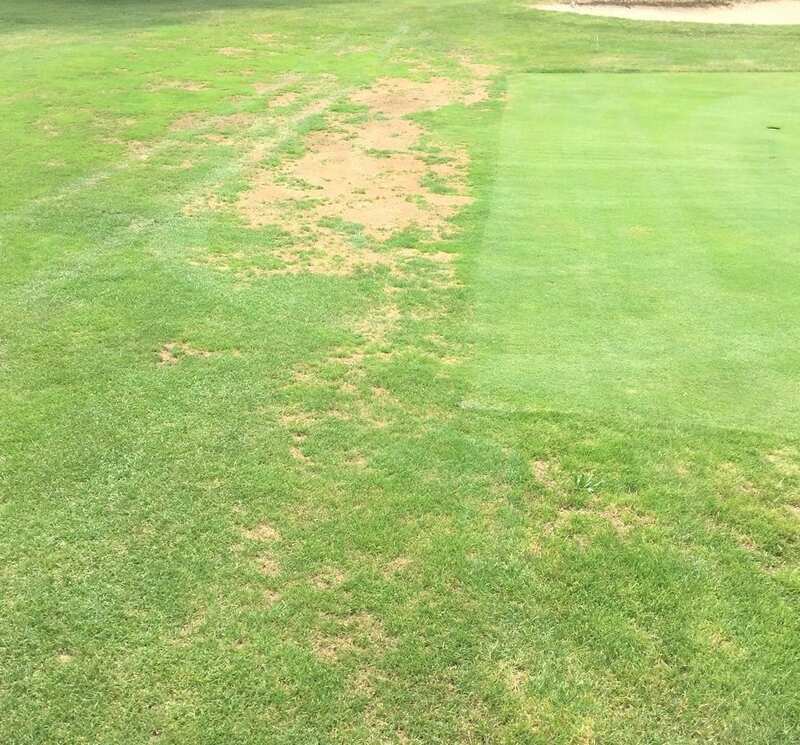 Despite the return of cooler temperatures, the impact of summer has not gone away and in fact if the rain continues as forecast by the end of this week (7-27-18) we will possibly be in a saturated rootzone situation and that will be even more problematic – anyone for Augsut 15th and possibly getting some venting done? 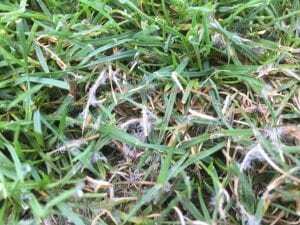 Untreated areas did suffer from pythium damage (Picture 1) and despite the cool down, dollar spot Clarireedia jacksonii sp. nov. immediately appeared on turf and with moisture and temperatures ideal for the next week the pressure will be intense – if your window is a little off there could be issues. Finally – if you need any help please don’t hesitate to contact us! 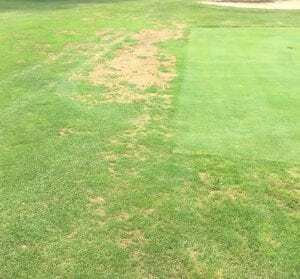 This year has not been the kindest to turfgrass. Winter dragged on and on and on and then the blast furnace was turned on. As I type soil temperatures are above 80°F which means during the daytime it is a real bunch of fun for turfgrass roots. Venting and pencil tines will help but a cool down would do even more! To that end rain is on the way for northern Ohio – hopefully this will bring some respite and not boiling of canopies! Further to this reports are emerging of armyworm damage east of us and that is not a great sign as the damage can be prolific – be aware! To help you look forward to the end of the dog days of summer I am letting you know the golf outing in aid of the scholarship fund at OSU ATI is coming up on September 20th and you can expect to see registration available within the next week. We look forward to your support once again and cannot wait to see you all there!